Henrik Larsson and Lubomor Moravcik are icons for any supporter of the Celtics, and fans went into overdrive when they discovered that the two will be returning for a charity match on May 28 next year. The former Hoops duo will be back, and Celtic fans are excited about this upcoming big football event. The two will be setting up their own teams – Lubo’s Legends vs Henrik’s Heroes. 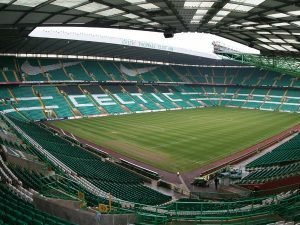 The match will be played at Parkhead, of course. They will be joined by celebrities and former Hoops stars which will escalate the excitement of football fans all over the world. The match will be held for charity purposes – pretty much the tradition of the Celtic Football Club since it was founded in the 1880s. Henrik Larsson expressed his gratitude to be included in such a charity event. Being considered for a game to contribute to what is known as the Celtic FC Foundation is something he looked forward to for himself and his family. He will be joining his old pal, Lubo, for this event. For Moravcik, it is quite “humbling” to be playing for a charity match at Celtic Park, as this was where he built countless memories during his years of playing for the Celtic Football Club – the joys, tears, triumph, and friendships they had. The two Celtic icons were also considered to be “Heroes”, as they brought the football club to so many victories while they were playing for them. Their intent to return to play for the charity also proves that they are not just heroes for the sake of winning for themselves, but heroes for the welfare of others. Even the Celtic FC Foundation chief executive Tony Hamilton believes that the two players are the “greatest ever” to wear the beloved Hoops. Giving their time for this charity match is proof enough of their greatness.